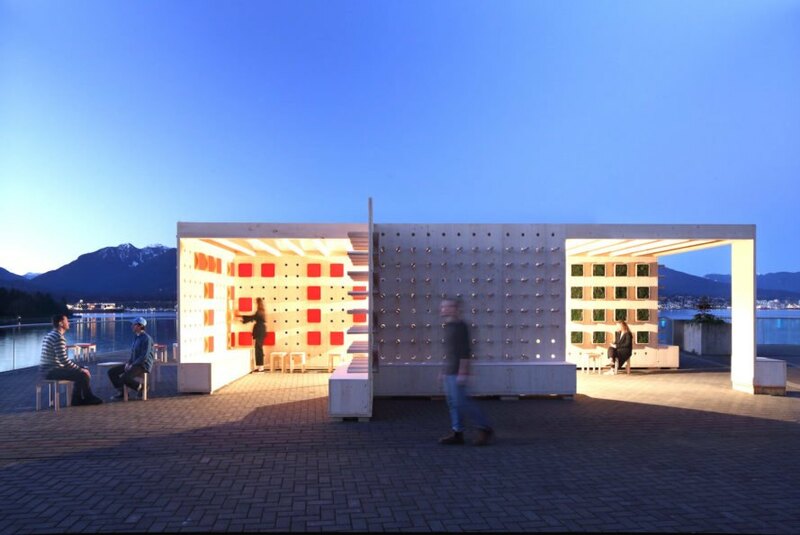 An experimental pavilion popped up by the waters of downtown Vancouver for the TED2017 conference. 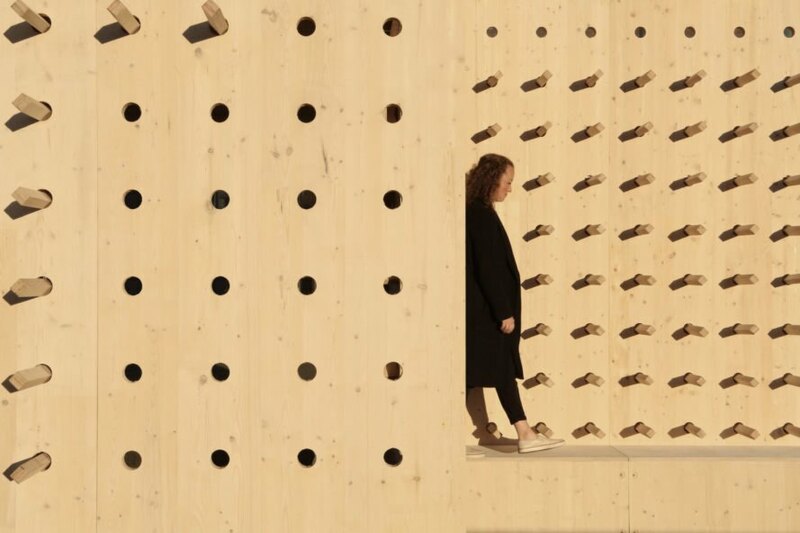 Selected as the winning entry in the PAUSE international design competition, this interactive prefabricated timber structure explores the concept of personal space and interaction. Competition hosts nonprofit DBR | Design Build Research and the Vancouver TED2017 conference chose Kazan State University of Architecture and Engineering student Alsu Sadrieva’s submission from over 60 submissions represented by 21 different countries. 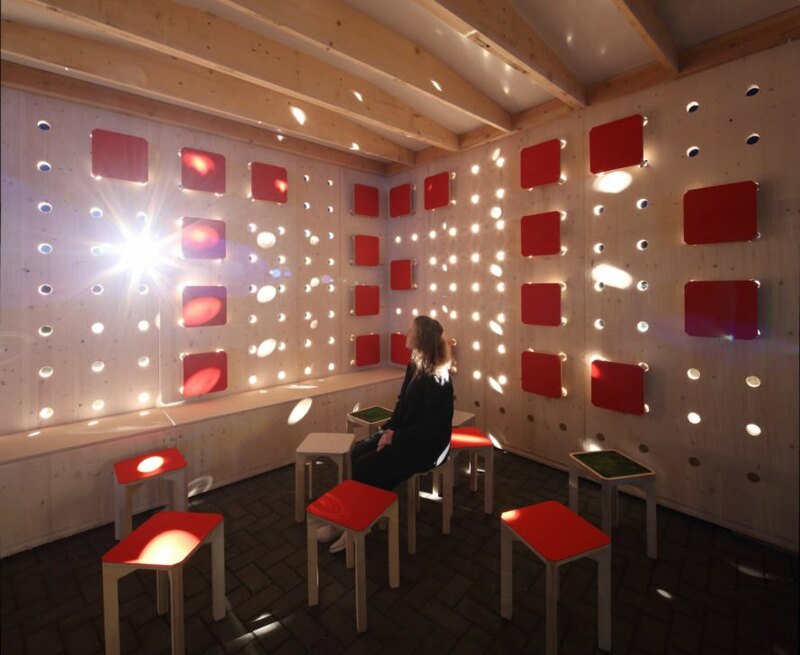 PAUSE pavilion was designed to encourage passersby and conference attendees to reflect, gather, and interact. 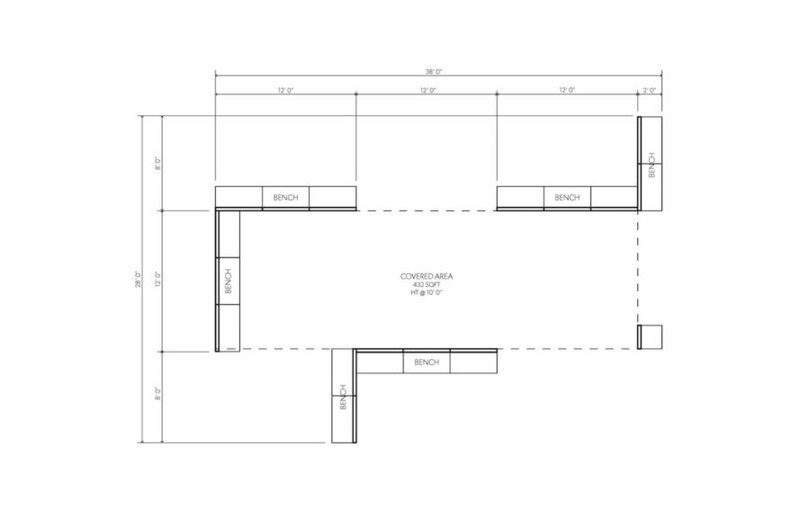 Structurlam donated the cross-laminated timber panels used for the prefabrication of the walls, while Interfor contributed dimensional lumber for the pavilion’s roof. The pavilion was weatherproofed with shrink-wrap. Approximately 150 stools were constructed and made from CNC-milled birch plywood topped with cushions of either preserved moss or wool felt donated by Filzfelt. 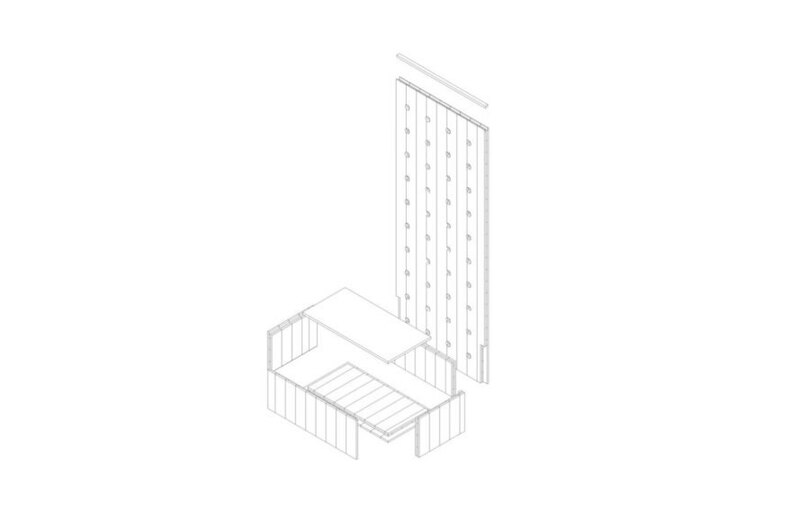 The stools are inserted in the walls, making the perforated facade look as if hundreds of rods were sticking out. 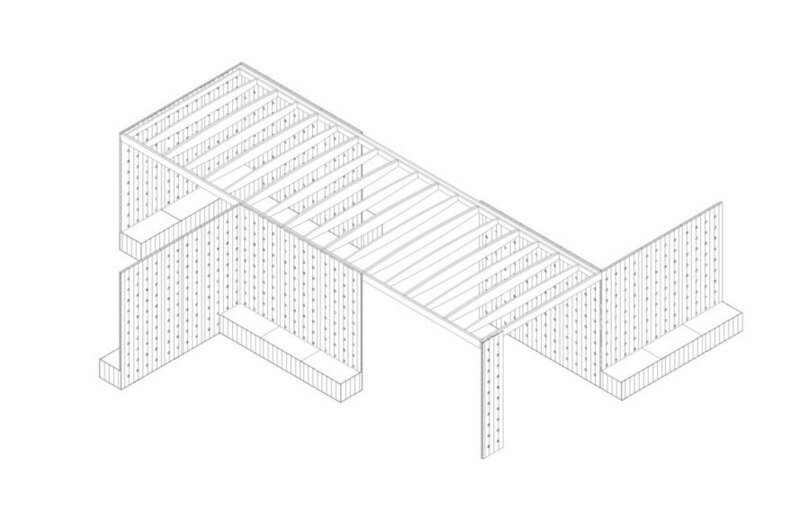 “The pavilion represents the thorny, challenging problems of the world today,” wrote DBR. “Chairs adorn the walls of the structure, giving it a jarring appearance. 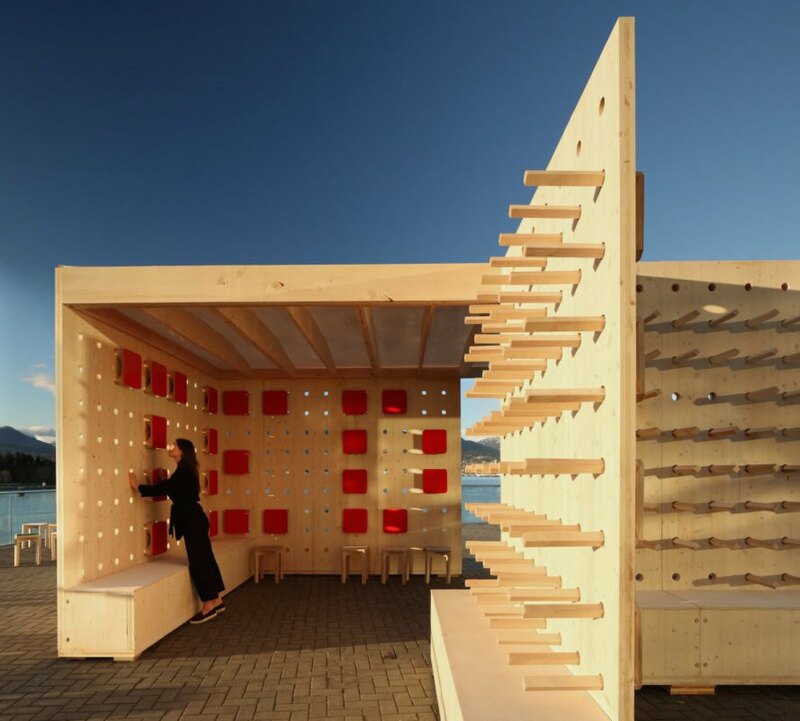 The exterior can only be smoothed by the removal of a chair – in effect solving a problem through gathering and dialogue.” The pavilion was designed for reuse after the TED2017 conference for different events in Vancouver. PAUSE pavilion was designed to encourage passersby and conference attendees to reflect, gather, and interact. Structurlam donated the cross-laminated timber panels used for the prefabrication of the walls, while Interfor contributed dimensional lumber for the pavilion’s roof.